Learn how marketing on Pinterest can help you grow your business, convert more leads, and improve your website traffic. Create click-worthy Pins in minutes with the help of these PowerPoint templates. When I open up Pinterest, I’m in trouble. That’s because I know I could potentially sit there for hours on end browsing pictures and videos beautiful decor for my apartment, fun new workouts to try, outfits I want to buy, and much more. In the past, I’ve purchased items directly from Pinterest. I’ve also pinned content to my boards so I can refer to them in the future, use them as inspiration, or share them with my friends. Marketers target Pinterest users by sharing content that’s too irresistible for us to pass up. And with over 250 million people on Pinterest, why wouldn’t marketers want to be on the platform? Not to mention 90% of users say they look to content on the network to make purchase decisions. So, how can your business use Pinterest as a marketing tactic to help improve your brand awareness and conversions? 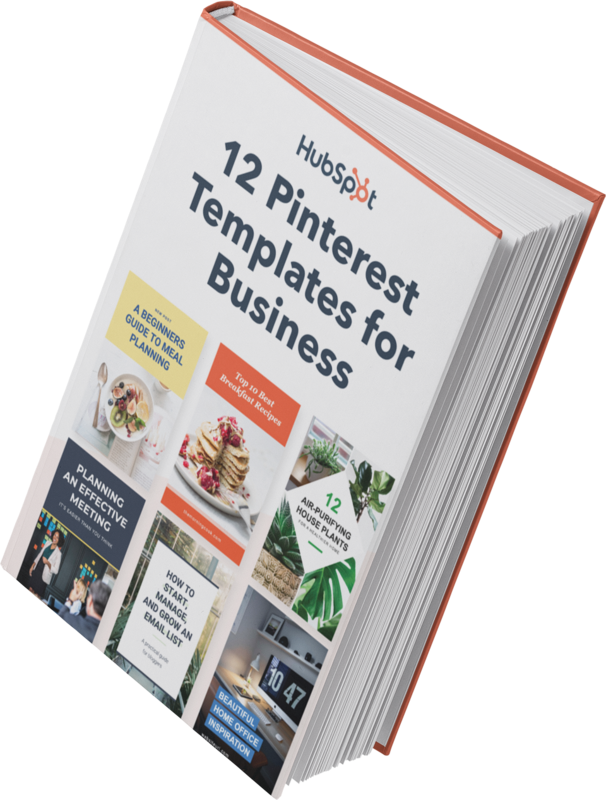 In this guide, we’ll cover the answer to that question as well as which Pinterest marketing strategies you should implement, how small businesses can benefit from the platform, and which tools you can use to ensure your Pinterest marketing strategy works for your business. But first, we’ll review what the platform is and how it works — let’s get started. Pinterest is a social media platform in which users explore, share, and store visual content they find inspiring, helpful, or entertaining. Users add, or Pin, their chosen content to boards with a common theme to keep it organized and so other users can discover new content related to their interests. Once you sign up for a Pinterest account, you’re able to begin sharing content and, therefore, social media marketing on the platform. You have the option to upload your business’ content from your computer or mobile device, Pin content you find on the platform, or add content you find on the web using the Pinterest browser button. You can also follow the boards of your friends and competitors, “Like”, and comment on others’ Pins, re-Pin (or repost) content, and share links to your website and blog in your Pins. It’s important to note there are personal and business accounts on Pinterest. Choosing a business account will allow you to gain access to Pinterest Analytics and other features including a visual search tool, a native video player, and the ability to run ads if you choose — making the platform ideal for marketers. Speaking of Pinterest marketing, let’s review 13 strategies to help you improve your influence and impact on your audience through the platform. The following 13 Pinterest marketing strategies are universal, meaning they’re applicable to businesses in all industries, of any size. 1. Sign up for a business account. To market to your target audience, you should create a Pinterest business account. As mentioned, this free account provides you with access to Pinterest Analytics (which we’ll review in more detail shortly) and other handy marketing features such as a profile that clearly states you’re a business, Pinterest widgets, and Pinterest tag. If you already have a Pinterest account and want to convert it into a Pinterest business account, you can also do that without losing any of your content or work. Note: If you’re looking to enhance your business account and run ads on Pinterest, you can do so by upgrading your account — and setting up your method of payment because this part of Pinterest is not free — to target your audience more aggressively with the help of the platform’s Ads Manager. You’ll want to share your content on boards. Boards are where you save all of your Pins and distribute your content for your followers to explore. You can have as many boards as you want and they can be organized into themes, ideas, plans, or types of inspiration to make it easy for your audience to find the content they’re looking for. For example, this board, created by the clothing company Madewell, serves as a source of travel inspiration and is paired with real products they sell to get their audience excited about their brand, the lifestyle they promote, and the idea of purchasing some clothing. You can also invite people to join your boards — which would make your board a “group board” — if you want other contributors to add content they believe works with your board’s theme. This is a great way to increase engagement and interaction on your profile. 3. Choose the right categories for your content. By choosing the right category for your content to be shared in, your Pins and boards will become more searchable for users looking to discover content similar to that of your business. 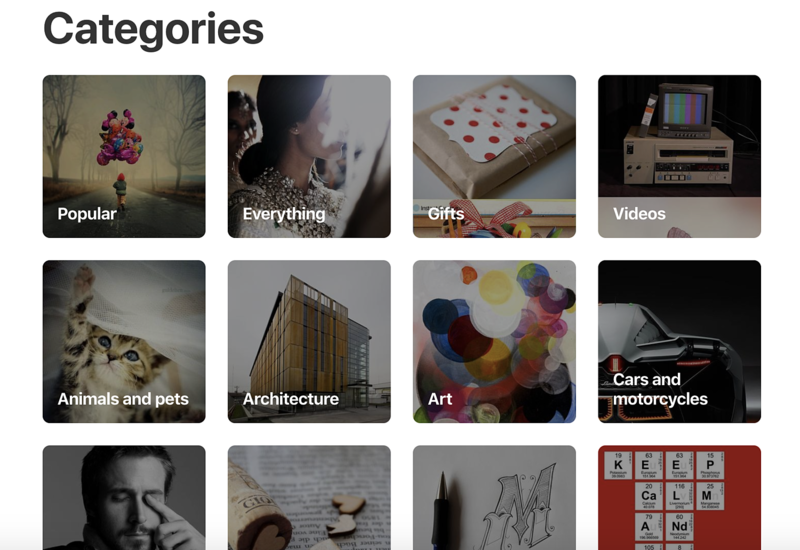 Users can search for specific categories on Pinterest or simply go to the “Categories” section of any profile on the platform to view all content related to the topic they’re searching. Some of the most popular Pinterest categories include travel, health and wellness, and beauty. 5. Use unique images and videos. Similar to other social networks, Pinterest contains a plethora of images and videos. Not only do you want to ensure you’re posting images and videos that will help you promote your brand and market your products/ services, but you’ll also want to ensure they stand out against all of the others on the platform. Otherwise, why would a user choose to follow you over your competition? Use branded images without faces — these receive 23% more Pins on the platform than those with faces. Create and share branded videos to promote your products and company. 75% of Pinterest users say they’re likely to watch branded videos about topics that interest them. Pay to use Pinterest’s Promoted Video feature if you have the budget. Share images and videos that show your products in action so viewers can more easily envision themselves using them. Avoid excessive blank (or white) space in your images — images with 30% less blank space in the background are pinned most. Create videos between 30-90 seconds long because they’re proven to have the highest performance. Create specific boards to share images of your company’s most helpful data visualizations and infographics if you have them for your audience to use as resources for their businesses. Once you’ve created your Pinterest account, made some boards, and determined which categories you’ll share your content in, and thought about the type of content you’re going to share, you can begin building your base of followers. It’s important to work in this order so anyone who comes across your profile — while you’re working to increase your follower count and become more established on the platform — will be able to gain a better understanding of the type of content you’ll be posting and what your brand stands for. How to build your following on Pinterest. Although you can search for and add specific friends via their name, Facebook account, and other identifiers, this is time-consuming and would make it nearly impossible to really grow your following substantially. Instead, consider the following methods to build out your base of fans and followers on Pinterest. Promote your Pinterest account via your other social networks. Follow accounts you believe would want to follow you back. Watch what your competitors are doing to increase their base of followers and learn from their techniques. Use keywords and hashtags in your posts (we’ll discuss these tactics in more detail later). Ask influencers to re-post some of your content to gain the attention of their followers. Pay for a Pinterest ads account to run ads on the platform. 7. Think about your target audience. While creating and sharing content for your Pinterest profile and marketing to users, be sure to keep your target audience in mind. Similar to the way you would when creating new products, developing your branding, or posting to other social networks, you want to ensure you’re pushing out content that appeals to your target audience, current customers, and buyer personas on Pinterest. Research your buyer personas to determine what type of content would be most helpful and appealing to them. Survey and ask your current followers and customers for feedback on what they want from your company on Pinterest. Look at what your competitors are doing well (or not) to help you think about new ways to push out your content and make it unique. View the boards of your current followers and customers to aid in your understanding of who your audience is and what they're most interested in. By using keywords throughout your profile, posts, Pins, and boards, you’ll be more likely to organically appear in users’ feeds and searches. Keywords and phrases on Pinterest are related to specific niches being searched by users. For example, if you sell suitcases, you might use keywords and phrases like “vacation” or “going on a trip” throughout your profile and Pins. This way, when a user searches one of those terms, your profile and images of your suitcases will appear on their feeds. For those of you who choose to pay for Pinterest ads, there’s also an option to use the platform’s keyword targeting tool to help you reach your audience through your ads. 9. Add hashtags to your content. Hashtags — which are keywords and phrases preceded by the “#” symbol — are another great way for you to organically market to and reach your target audience. Hashtags on Pinterest work the same way they do on most other social media sites (like Instagram, for example) and when leveraged, make your content more search-friendly. Hashtags on Pinterest are used to help users identify Pins and boards about a specific topic they’re searching. When users click on a hashtag you include on a Pins, they’re brought to a page in which they can view all content ever posted on the platform tagged with that specific hashtag. You should add hashtags to your Pins, boards, and promoted content (if you have any) to ensure the greatest amount of visibility. 10. Share your content on other social networks. To promote your Pinterest account and content, you should share your Pins, images, and videos in other areas to improve your chances of being seen and followed. For example, you can claim your business’ Pinterest account on Instagram, Etsy, and YouTube so your followers can easily learn about the other platforms you’re on and how they can view more of your content. Additionally, claiming your account will provide access to analytics and data on all of these Pins so you can see the other networks your audience is most interested in. You can also link your Pinterest profile to your Facebook and Google accounts so you can easily add and find friends, share content across networks, speed up your login on all accounts, and backup your profile in case you lose or forget your password details. 11. Integrate Pinterest on your website. By integrating Pinterest on your website, you’ll be able to easily drive traffic from one of your web pages directly to your Pinterest profile so your leads and customers can begin viewing your content in seconds (and hopefully follow you!). These Pinterest widgets and buttons allow your website visitors to interact with your Pinterest page via your website and give them the ability to view and follow your profile or go directly to a specific Pin or board. The network’s widget builder helps you quickly customize, create, and add this feature to your site. 12. Follow, engage, and interact with other accounts. When you follow and interact with other Pinterest users and their accounts, you’re able to initiate and maintain personal relationships between them and your business. This type of engagement has the potential to make your followers feel a level of loyalty towards your brand that keeps them coming back to your profile for inspiration, ideas, and to buy products. Follow new accounts of users who state or show they have interests related to the work your business does and the content you post (you can do this by searching keywords and hashtags or reviewing the people who follow your current audience members). Re-Pin, “Like”, and comment on the content your followers and fans share. Respond to the messages your followers write on your content to personalize their experience on your profile and make them feel heard. Create engaging posts that showcase your expertise in your industry, teach your followers how to do something, or get them involved (in a giveaway or contest for example). 13. Use social media best practices. When using Pinterest, be sure to follow the same social media practices you would on other social networks. Examples of this include remembering to interact and engage with your followers, regularly post to (and update) your account, and avoid blatant self-promotion that feels pushy and forced to your audience. Additionally, you can focus on the following five best practices to boost engagement on Pinterest. Encourage your followers to feature your brand in their content (and maybe offer to repost them or re-Pin their content if they do). Provide your audience with an incentive — such as a prize — for choosing to follow and interact with you as well as create posts featuring your products and branding. Offer your audience discount codes, coupons, as well as details about your latest products and updates to existing products to keep them coming back to your profile. Ensure your content is helpful and useful for your audience members — all content should have a purpose and/ or meaning. If you’re putting all of this effort into marketing on Pinterest, it’s probably safe to assume you’re going to want to ensure the work you’re doing improves your business’ conversions and brand awareness. So, you’ll need to analyze the results of your Pinterest marketing efforts to keep track of your referral traffic, number of engagements, leads generated, and anything else you’re interested in learning more about. The easiest way to do this is through Pinterest Analytics. Metrics about your profile as a whole. Insights about the number of people who save and re-Pin your content. Platform metrics to understand how people interact with your content via both desktop or mobile. Data about your most popular Pins. If you have a small business, you may be wondering whether or not putting all of this effort and time into implementing Pinterest marketing strategies is actually worth it. Short answer? Yes, it is. Pinterest is one of the more versatile, affordable, and impactful marketing tools for businesses that are looking to convert more leads, drive traffic to their websites, and increase brand awareness to use. Plus, Pinterest users have the highest purchase intent of any other social media users. Let’s discuss some more ways small businesses, like yours, can benefit from creating a presence on Pinterest. Pinterest helps you tell a visual story about your brand. Through pictures and videos, you’re able to show — rather than tell — your audience what you’re about as a company, the things you value, what and who you support, and the types of products and services you sell. Pinterest provides you with a unique and engaging way to introduce your small business to platform users. Social media of any kind can help you humanize your brand and give it some personality — Pinterest is no exception. On the platform, you’re able to reach out directly to your audience members, chat with them one-on-one or as a group, and assist them through any difficulties or roadblocks they encounter while doing business with you. You’re also able to show your audience and followers how much their support and business means to you through giveaways, videos of your behind the scenes work, latest company news, product information, promotions, and discount codes. Creating and maintaining these business-to-customer routines early on humanizes your brand, sets the tone for what your company will be known for, and shows customers how you intend to grow with them in mind. You can use Pinterest to feature your inbound marketing efforts such as your blog posts or content offers. For example, you can Pin a photo or video to a board and include a link to blog post about that visual content. This not only promotes your blog posts but it also drives traffic directly to your website. Display your work and showcase your expertise. Pinterest is a great way for your small business to display your work and showcase your expertise in your industry. Examples include Pins with images and videos of your work, infographics, data visualizations, and blog posts. Due to the fact you might not be a recognized brand yet, doing this is important. That’s because as your business grows and you become more well-known, you’ll be more likely to be recognized as an industry leader and a business with helpful and applicable content for audience members. Pinterest is a great way to drive traffic to your business’ website — this will help your small business generate leads and conversions. You can share URLs in your profile as well as on your Pins and boards. For example, you may choose to post content with a link to your email sign up page, “About Us” page, or blog. Pinterest is a great resource for conducting market research. It’s especially helpful for small businesses that may not have a large following quite yet or the experience to know exactly what their audience members expect and want in terms of content. With Pinterest, you can easily review what your competitors — and the companies in your industry that are more established than yours — are doing. This will allow you to discover which tactics they’re using on the platform and see what’s working for their audience members. You can also look at the content your audience Pins as well as who they’re following and interacting with. There are a number of tools you can use to help you reach your target audience and engage users on Pinterest. There are three major types of resources to help you accomplish this — account management tools, image design and creation tools, and follower count and community growth tools. Social media management tools help you schedule posts and organize your content on any social network, including Pinterest, prior to actually posting it. This way, you can ensure everything is shared and pushed out as planned. Social media management tools often have analytics capabilities as well, which you can use in tandem with Pinterest Analytics. Hootsuite gives you the ability to schedule your Pins in advance, gain insights into your data and analytics, and measure your results on Pinterest. Tailwind provides you with analytics about your Pinterest profile, a data reporting system to help you determine what’s doing well with your audience members, and advice about the best days and times to share your Pins. Sprout Social allows you to take advantage of a range of features to help you reach your target audience and buyer personas through Pinterest. These include platform analytics, engagement tools, post scheduling capabilities, and details about the type of content your audience wants. Pinterest image design and creation tools allow you to design, edit, create, and publish professional-looking photos and images for the platform (along with any other social media site and your website). Considering Pinterest is a visual social network where users discover eye-catching, beautiful, and creative images and videos, it’s important your content looks perfect so you can attract more followers and engagement on your profile. The following three tools are great for anyone who doesn’t necessarily have a background in fields like graphic design or art but still wants to share unique and polished content on their profile. Canva allows you to create professional images for Pinterest with their over 1 million images, graphics, templates, and icons available to choose from. Pablo provides you with a way to create beautiful images for Pinterest in under 30 seconds with easy-to-use effects and templates. PicMonkey gives you the ability to create and edit images and has advanced image editing tools such as masking, mirroring, and double exposure. Follower count and community growth tools on Pinterest are available to help you promote your profile and content as well as increase your number of followers and engagements. The following three tools were created to help you accomplish this specifically on Pinterest. PINGROUPIE provides you with the number of Pins, users, and followers on different group boards on the platform so you can determine whether or not you want to join and Pin your content on it. Loop88 helps you to create shareable content they’ve determined is ideal for Pinterest to help you attract your target audience and grow your following. 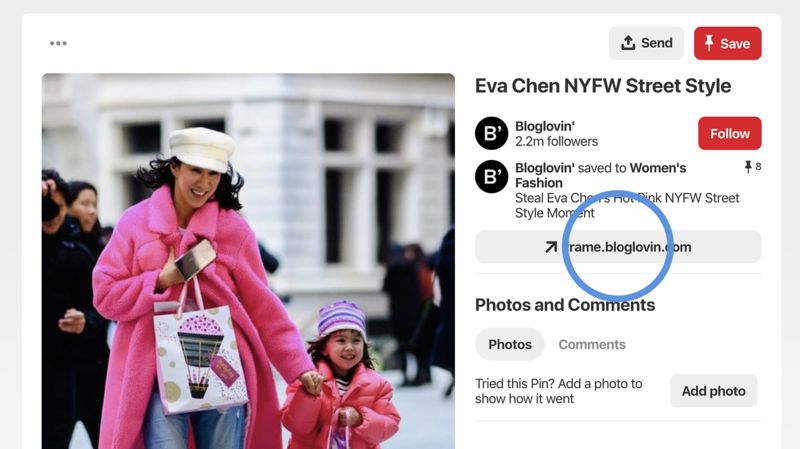 PinFollow gives you a detailed look at who’s following your Pinterest account, who you’re following back, who you follow that isn’t following you back, and how your follower count is growing over time. Pinterest is a powerful marketing tool with the ability to help you organically increase brand awareness, boost conversions, increase sales, and create long-lasting relationships with your target audience and buyer personas. You can achieve all of these things for your business by following the Pinterest marketing strategies we reviewed and incorporating the available tools and resources to help you succeed as a business on the platform. So, sign up for a business account and begin creating unique and engaging content to market to your customers and followers on Pinterest.